A page on TigerLocal will showcase your business to hundreds of local people looking for a business in Chester. So you'll get serious enquiries from new customers. 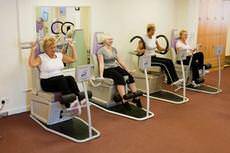 Designed around two 30-minute workout circuits, the first, the Easyline Circuit, uses state-of-the-art hydraulic equipment that combines aerobic exercise and muscle toning to achieve stunning results. We have a modern studio with plenty of display cakes for inspiration. 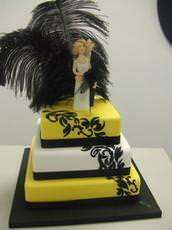 We are dedicated to creating cakes for everyone's budget. The designs are unique, the flavours are awesome - always fresh and never frozen. 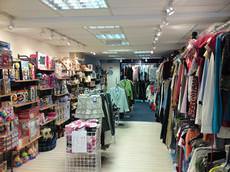 We are a family run business and aim to provide a relaxing and friendly place in which to choose your perfect dress. Our dresses come in a variety of colours and can be made in any size. Operating from London, Birmingham and Chester, Indigo Surveys provide arboricultural consultancy, ecological consultancy and measured surveys of land and buildings. Shackladys Antiques specialise in Victorian antique furniture. We were established over 25 years ago and we have a wealth of knowledge and experience to offer discerning clients. 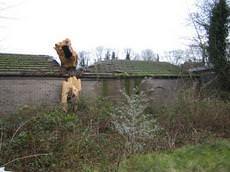 CHESTER SKIPS - fast, affordable and reliable Skip Hire. 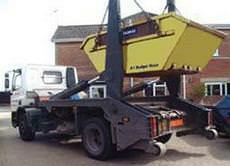 We offer SKIPS of all sizes at fantastic prices to both private homes and commercial companies. 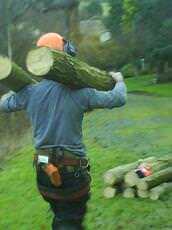 Treefellers Ltd provide tree and vegetation management services to the public and private sectors throughout the North West of England and North Wales. Driveme.co.uk are a fast growing driving school consistently looking for learner drivers looking to be matched with independent driving instructors all over the UK. We are a local Independent locksmith and not a National business that sub-contracts. This means our prices are more competitive as our overheads are lower. All our work and parts come with 1 years guarantee from date of fitting. Ellesmere Port Skips hire is a fast and reliable local waste removal company that has been providing an affordable service locally and to its surrounding regions for more than 20 years. Ellesmere Port Motor Auction is a family run auction established in 1988. We hold 3 auctions every week with sales on Monday and Friday at 7pm and Sunday 12:30am. Our Commercial sale is the last Thursday of the month at 7pm. Established in 2005 by Richard Minshull, Minshull Windows Ltd is based in Ewloe, Deeside and is focused on providing Flintshire, Chester, Wirral and North Wales with a top quality product and installation service. Pryors Hayes is a welcoming club for players of all ages, ability and gender which benefits from an inclusive and friendly atmosphere. 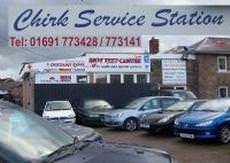 Chirk Service Station is a family firm est 1968 we stock over 2,000 tyres and specialise in high performance and 4x4. 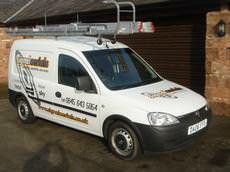 We also have two very busy MoT bays and carry out servicing and repairs to all makes. Locksmart can provide a wide range of locks which meet British Standards (BS3621)in order to comply with insurance specifications for both residential and commercial purposes. 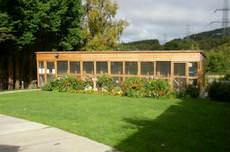 The North Wales School of Dancing is one of North Wales premier dance schools. The school has built a reputation of high standards and prides itself on discipline within a friendly creative learning environment. We are a family run business that have been working in the TV and Satellite industry for about 30 years give or take a few. We cover North Wales, Cheshire and the Wirral but travel further afield if its a reasonable sized job. Jays Travel direct specialise in airport transfers to all UK airports using our High Spec minibus. 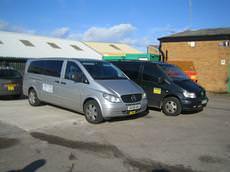 We can carry up to eight people with luggage, we will also consider all other work, contracts courier work etc. Neston Taxis is a well established business with over 15 years experience. 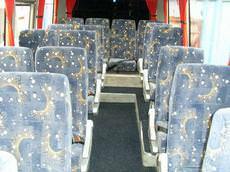 We have four, six and eight seater vehicles available and offer a reliable service at competitive prices. Pointe Works provides a happy, safe and supportive environment in which students can explore their individual creativity whilst acquiring dance skills. One of the UK's leading dance studios Whether you are a seasoned professional or would just like to take class for fun and fitness, there is a fun class suitable for you. At G T digital we are a business dedicated to providing aerial and satellite services, repair and installations to customers throughout Cheshire, North Wales and Mid Wales. 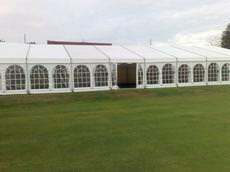 We are a small family run cattery located in the village of Bwlchgwyn, five miles North West of Wrexham, off the A525. We perform home visits and look after small animals on site in both indoor and outdoor accommodation. We offer a wide range of services at affordable prices, from all forms of Arboriculture (Tree Surgery) to landscape design and garden maintenance. What ever your garden needs may be we guarantee we can provide the perfect service. Signal Aerials is a local business based in Cheshire that focuses on delivering superb value for money and excellent customer service. 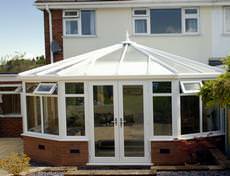 We offer top quality workmanship and at a fraction of our competitors costs. 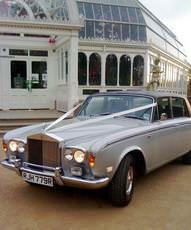 Rolls Royce and Bentley vehicles serving the county of Merseyside , Wirral and Cheshire. 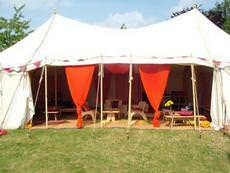 We offer a quality, professional service at affordable rates. Local locksmith and joinery service covering cheshire. I'm not a call centre, and am part of the CLA Association gaining access thru 98% of non destructive techniques. Fully vetted, trained, prompt, friendly , helpful and experienced staff We provide an efficient, cost effective and professional service to both domestic and commercial properties. 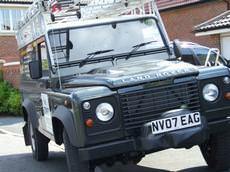 We offer a full, twenty four hour call out service. We can gain entry to cars and can replace or repair car locks. Lost car keys and remote central locking fobs can be replaced and reprogrammed. TravelT1 can provide the right vehicle at the right price to meet your needs. A minibus for an evening out, or a full luxury coach for a continental journey, ask for a no obligation quote (see contact details below). 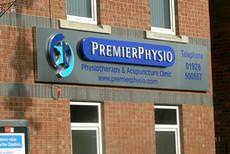 PremierPhysio should be your first port of call for any aches and pains. Located in Runcorn Old Town, we have a highly qualified team specialising in the treatment of sporting injuries through to spinal pain and arthritis. Widnes Skips have been providing an affordable reliable skip hire service to Widnes and its surrounding regions for more than 20 years. If access or time is a problem we can arrange a wait and load service for you. 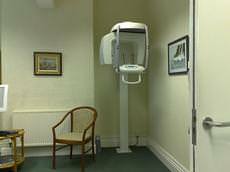 Rocky Lane Dental Practice is a small personal private practice for discerning clients who would like the best dental care available. 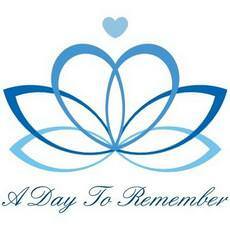 All treatment options available including cosmetic treatments. 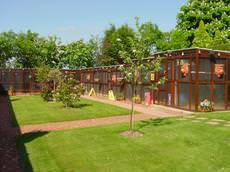 Cuddington Boarding Cattery is a bespoke boarding cattery offering safe secure housing. We provide all food unless it's a prescription diet. Runcorn Skips have been providing an affordable, reliable skip hire service to run corn and its surrounding regions for more than 20 years. Runcorn skips are one of Runcorn's most respected waste control companies. 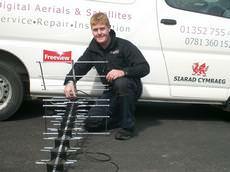 Anderson and sons aerials offer installation of digital aerials and satellite equipment and servicing. We cover all aspects of Sky, Freeview and Freesat. Based in and covering the Wirral, in Chesire, Mr B is a driving school that prides itself on high standards of instruction and a passion for producing excellent drivers. The experienced team at Amore Flowers in Widnes create lovely hand-crafted bouquets from the best varieties of flowers to ensure a result you will be delighted with. Free delivery and 100% satisfaction guaranteed. 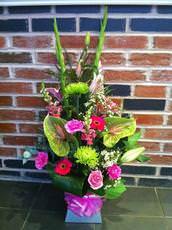 Bridal and Funeral flowers available. Special Daze, established in 1982, has over 2000 sq ft of retail space making it one of the largest bridal shops in the North West stocking over 400 gowns over two floors and showing over 20 of the top designers collections. Footloose Theatre School was established at Sandymoor Community Centre in 2004. Within the last four years, the school has been involved in Community Projects, shows at Professional Theatres and the school has a 100% pass rate. When words fail, let ABOUT FLOWERS say it with flowers. We are committed to putting 100% into each and every design that leaves the shop. We have something for everyone, from a traditional bouquet to a stunning modern design. Chester can trace its history back to 79AD when it was the site of a Roman fort. Its first cathedral came in 689, and its castle was constructed on the orders of William the Conquerer - so there are few more historic cities in England. Chester was a walled city - and today, the Grade I listed city walls are still virtually complete - only 100m are missing! Some of the distinctive black and white buildings in Chester date back to medieval times, but others are merely convincing Victorian recreations. In the 1950s and 1960s Chester’s population grew rapidly and new housing developments were created on the outskirts of the city to cater for all its new inhabitants. This lead to some concerns about the changing character of the city, and a City Conservation Area was declared in 1969. Chester Cathedral is well worth visiting. As well as being a beautiful and historic building, it has a wonderful choir, so Choral Evensong is particularly special. Other attractions in the area include the Grosvenor Museum, and the famous Chester Zoo with more than 110 acres to discover. Tourism is now one of Chester’s main employers, as thousands of visitors from around the world flock to this beautiful and historic city.